Do you need Professional Photo Editing Apps for iPhone or iPad ? If you need to edit your photographs for professional purpose, this app list will help you to make your photos more attractive and professional. In this article, you can view here lots of useful photo #editors which contain lots of features. Some of these photo apps are very powerful and featured rich which allow you to make your photos extra ordinary. Okay check out the list of useful photo editors. 1. PicsPlay Pro ( For #iPhone & iPad ) - Premium photo editor for iPhone and iPad users that allows you to create amazing photographs on your device. PicsPlay Pro is a complete professional photo editing app for iOS users that helps users to create stunning photographs by adding stylish filters, visual effects and using different types of editing tools. PicsPlay Pro contains more than 200 photo filters, powerful camera features including image effects, image themes, image editing tools, photo decoration feature with text tool and painting tool, 34 beautiful image frames and photo sharing option. Recommended photo editor for professional and creative users. 2. 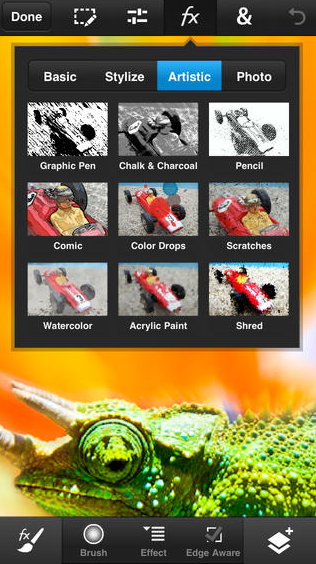 Adobe Photoshop Touch ( iPhone ) - This app is mainly designed for professional users who love to edit images on iPhone. The app helps you access almost all of useful features of desktop version of Adobe Photoshop software. With the help of Adobe Photoshop Touch, you can easily create beautiful photographs by editing images, applying different types of stylish effects, layers and filters and retouching photos using selection layer option. Great photo editing application for professional and creative users. 3. PicZone - Editor, Collage Maker & Photo Sticker ( iPhone & iPad) - If you are looking for easy to use fully functional photo editing app for your iPhone or iPad, try this awesome app on your iDevice. 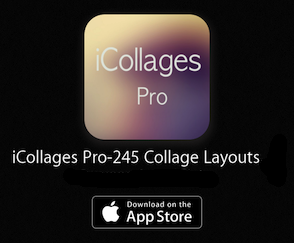 This app comes with two main function which are - (i) image editing suite (ii) powerful collage making tool. Image editing suite contains more 13 image editing features such as tons of useful and fun stickers, image effects, drawing , splash, photo filters, adjustment tool, photo cropping tool, resizing tool, focus and blurring option, emoticons and many other features. One of the best photo editing apps that comes with many useful features. 4. Photo Wonder ( iPhone ) - If you are looking for fully professional photo editing app for free, Photo Wonder is the perfect option for your iPhone that comes with tons of features and helps you show your creativity to your friends. The app can also be used as a useful makeup tool to beautify images. Great photo editor that comes with lots of image editing options, makeup tools, powerful collage maker, fun stickers , photo effects , camera filters and many other useful photo editing features. One of the best image editing apps on the iOS appstore that is available free of cost on the Appstore. You can also purchase more features and effect packs through in app purchases. 5. 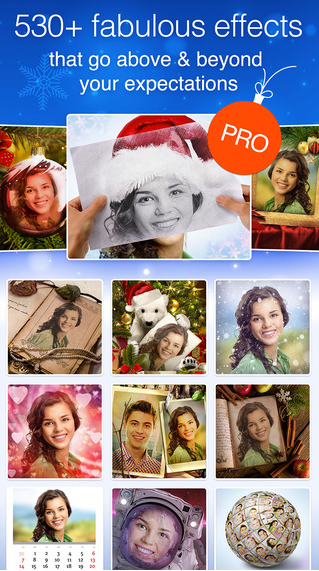 Pho.to Lab Pro ( For iPhone & iPad ) - Premium version of popular free photo editor Pho.to Lab. 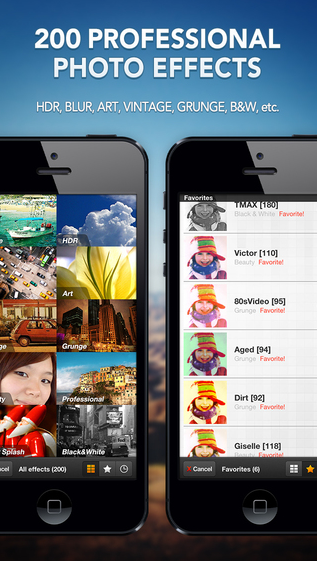 A complete fun photo editor that allows you to edit photos quickly from your device. The app contains more than 500 awesome effects. 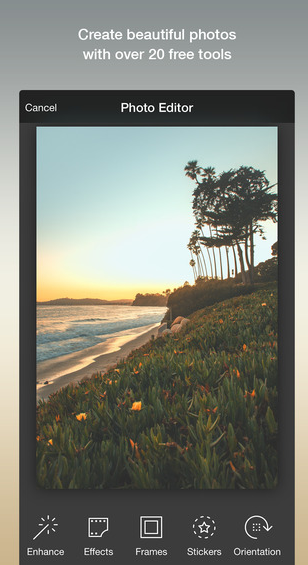 In this app, you can find lots of beautiful photo templates, different types of beautiful backgrounds, amazing photo montages, stylish photo effects, realistic image effects to make your photos like celebrities, photo editing suite, collage maker and many other options. One of the best photography apps on the Appstore for creative users. 6. 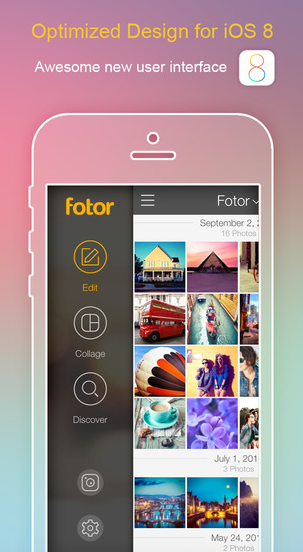 Fotor Photo Editor ( iPhone ) - If you love to install free photo editing apps, this app must be in your list. One of the best free photo editing apps on the Apple Appstore that comes with a variety of image editing features including some useful camera filter options. This app lets you shoot , edit image and create amazing photos. You can use different types of tools to make your photos more stylish and attractive such as visual effects, photo filters, scenes, amazing stickers and beautiful photo frames, collage maker option and many more. You can unlock more features by purchasing scene package from in app purchase option. 7. Photo Editor + ( iPhone & iPad ) - Featured rich photo editing app for iPhone and iPad. The app has almost all of useful image editing features which are used in professional editing projects. The app helps you take high quality photos, edit them easily and add different types of visual effects, and share them with your friends through sharing option. 8. Photo Editor By Aviary ( iPhone & iPad ) - Very popular free photo editor for iPhone that lets you edit , enhance, retouch and share your creation with your friends. With this free image editor, you can show your creativity with your friends. The app lets you access lots of image editing features such as image enhancer, photo effects, more than 100 image filters ( some are available through in app purchases), image cropping tool, drawing tool, focus light, teeth whitening option, red eye removal option and some amazing stickers. Great photo editing app for iPhone and iPad.